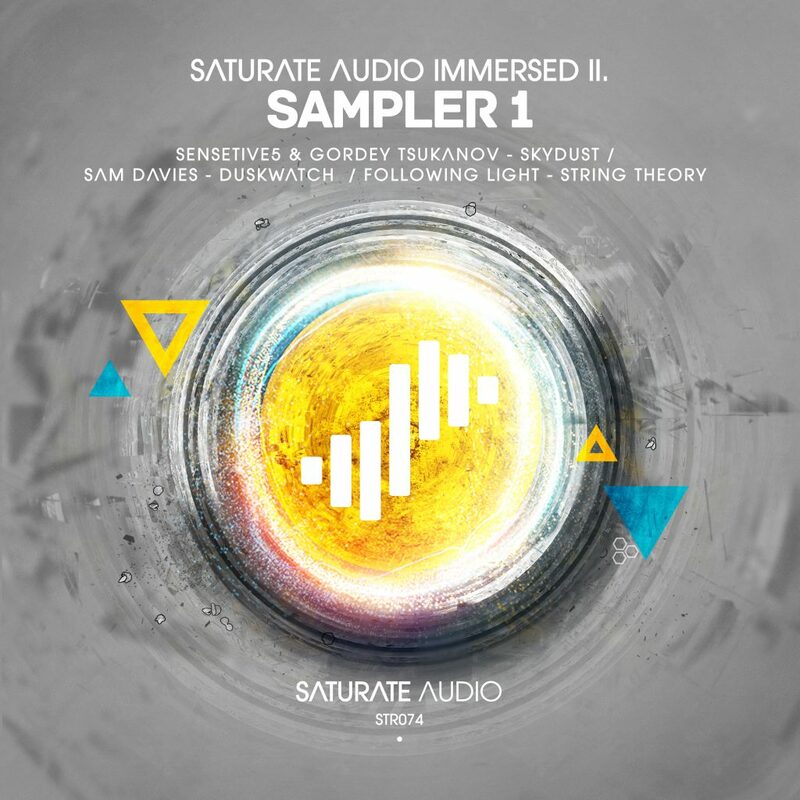 It’s time for the first bundle of Saturate Audio Immersed II. Sensetive5 and Gordey Tsukanov admired for their talents collaborate for Skydust that is a straight forward progressive trancer with pulsating basslines, rolling grooves and airy synthy hooks that will uplift you from the ground and definitely you will feel in your bones that sky is not the limit. Sam Davies from Toronto, brings next his Duskwatch. With releases on Silk Music this upcoming talent tell it like it is with an immersive breakdown that includes highly memorable electronic synthy melody combined with heavenly female voices and climax that keep us flowing nicely on the dancefloor. Last but not least, Ukrainian Following Light, not unknown to the fans of deep progressive with releases on Balkan Connection, Stellar Fountain, Particles and many more. contributes with his relaxing and very smooth dreamy track String Theory. The little distorted synthy riff drives the track forward to less known territories. A great pack for all tastes, trance, and progressive!